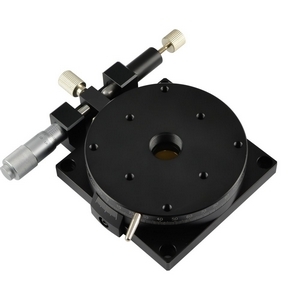 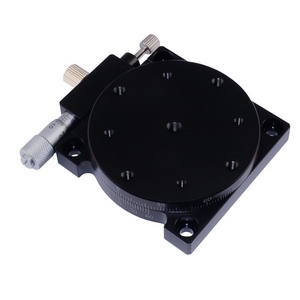 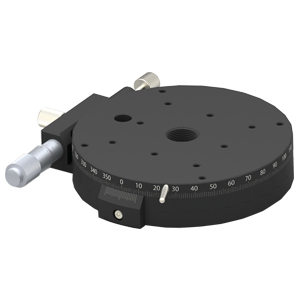 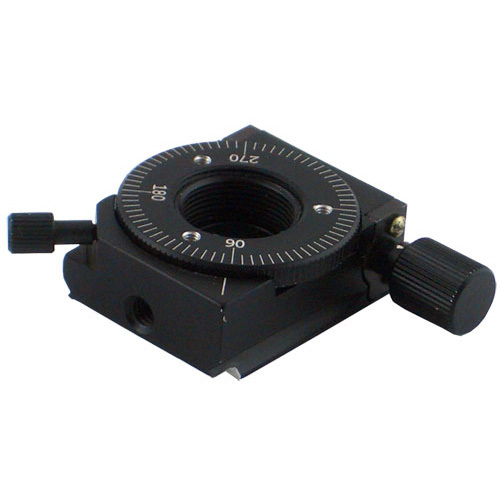 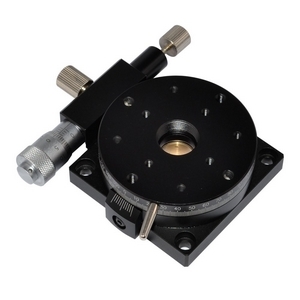 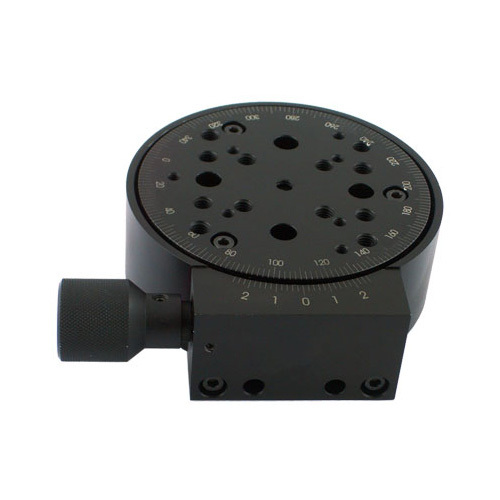 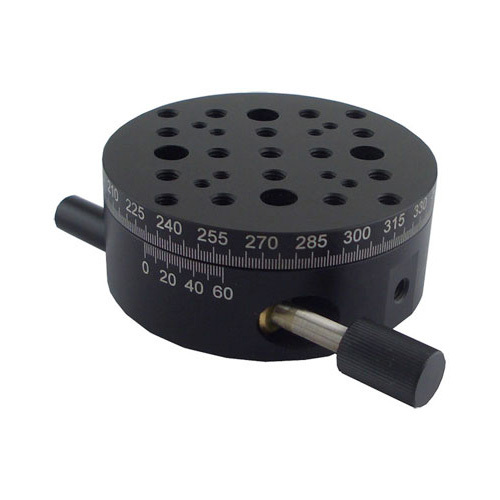 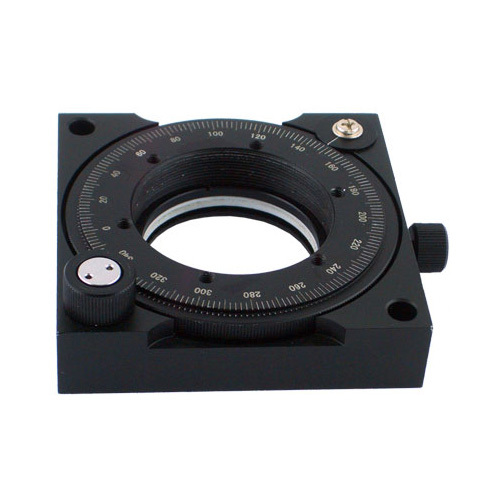 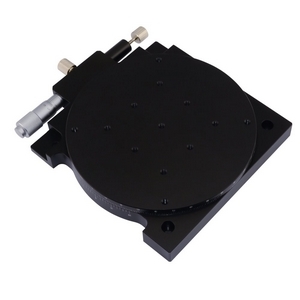 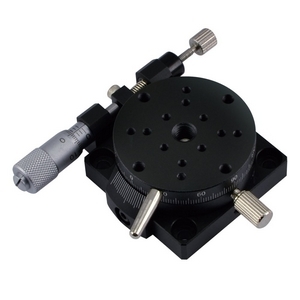 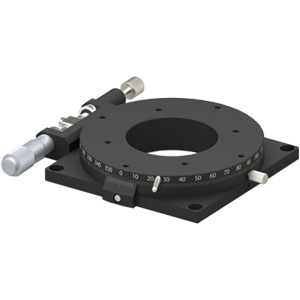 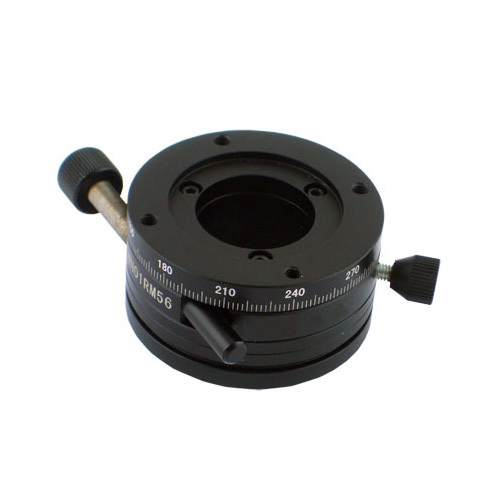 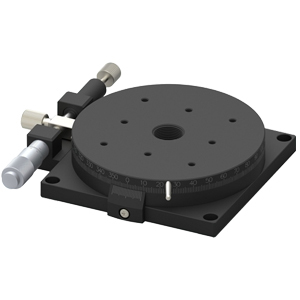 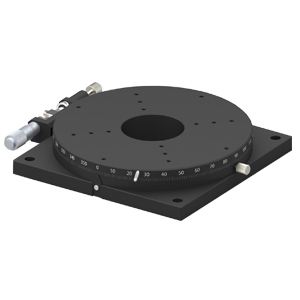 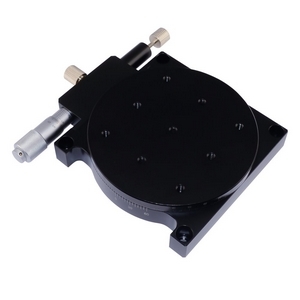 The MAR-82L Manual Rotary Stage provides precision rotation of components for laboratory, production, or industrial OEM applications. 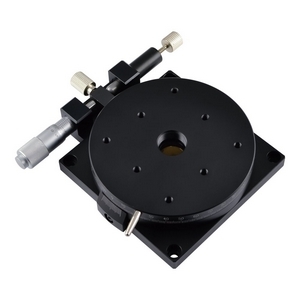 This aluminum stage rotates 360° in a precision bored bushing. 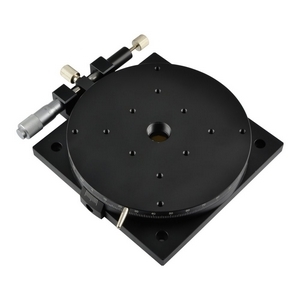 By tightening a thumb screw on the side of the stage, the platform is tangentially driven by the precision actuator. 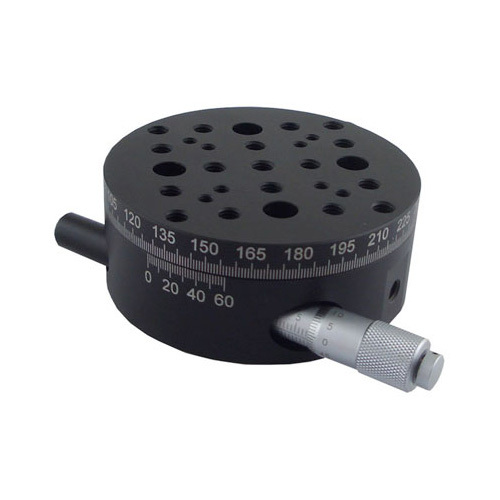 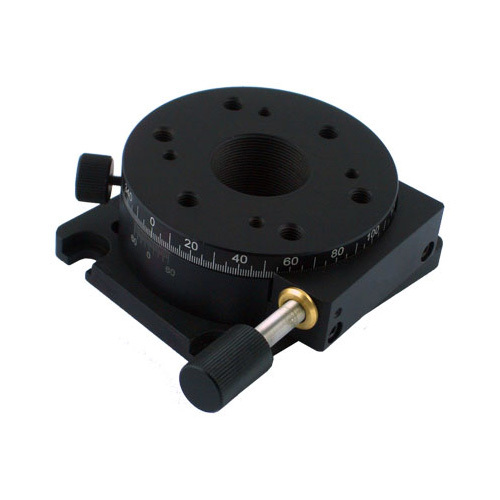 The MAR-82L includes a micrometer. 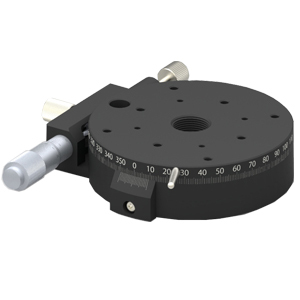 A graduated scale marked in 1° increments indicate angular position and a vernier scale allows position readout to 2´.